My family loves banana bread. 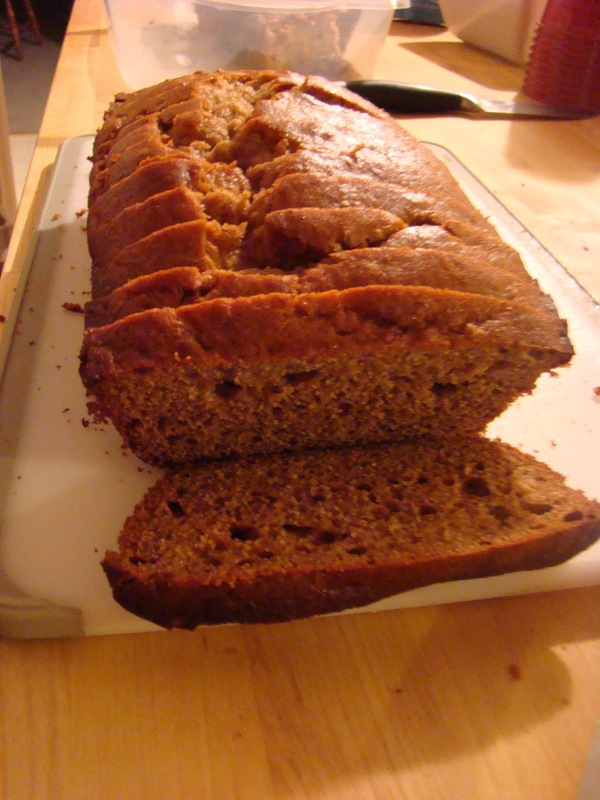 We've tried several different recipes for banana bread to find a gluten-free substitute for our favorite snack food. Recently, I read somewhere the idea that a specific flour had pectin in it, and the author thought that was the reason it was so good. Well, I headed right over to buy this flour, but it also has things in that Dominic can't eat, namely rice flour. I decided I needed to come up with my own version. I took a look at my Living Without magazine's recommendations for flour and xanthan gum combinations. I broke out my flours, xanthan gum, and pectin, and got cooking. I am so impressed with the results. I hope you enjoy it. I can't wait to get home and try the flour with some other recipes.